Expansive loft residence in sought after Canco Lofts featuring soaring 14 FT ceilings, oversized 11 FT windows, and gleaming wood floors throughout. 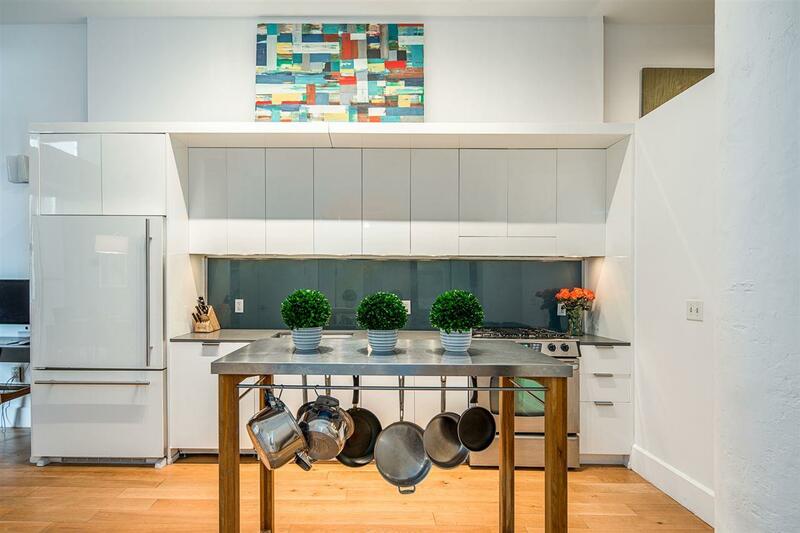 Chefs kitchen with modern finishes opens to sprawling dining and living areas perfect for entertaining. Cozy living room with large closet easily converts to a bedroom facilitating a flexible layout. Sun-filled king-sized master bedroom with en-suite bath and walk in closet. 2nd bedroom currently next to Master, features sliding glass privacy wall, and can easily be used as a living or dining area. 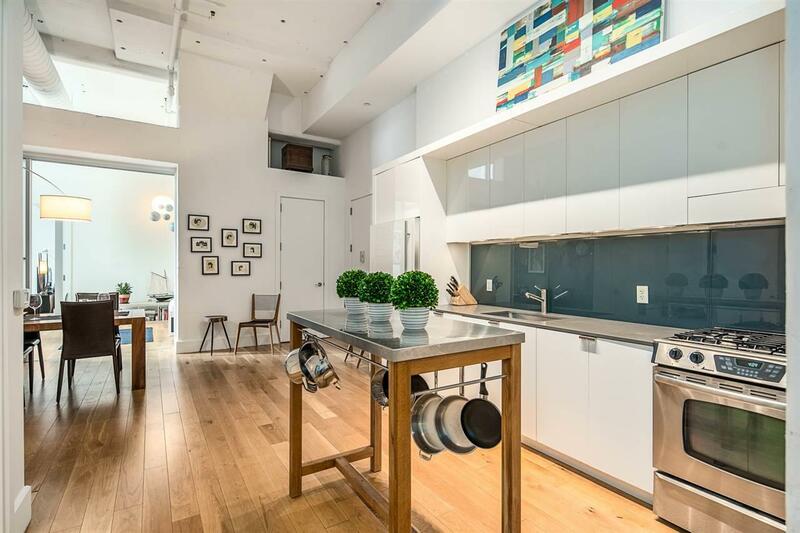 This spacious home can accommodate alternate configurations of true loft living. Building amenities include a 24 Hour attended lobby, state of the art fitness center (Peloton Bikes) Basketball Court, Newly Renovated Screening Room, Residence Lounge, Conference Room w/wifi, Outdoor Dog-run, Sun deck, shuttle to JSQ PATH and NJ Transit. 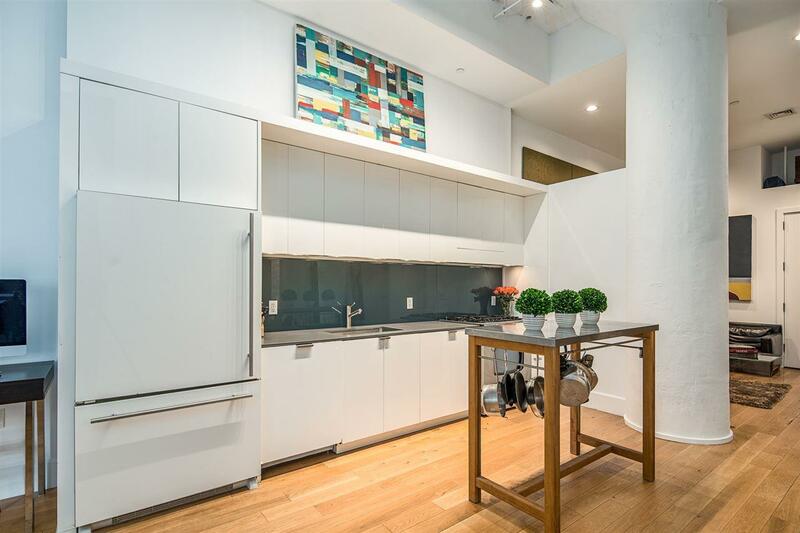 Prime location for easy access to all highways and short walk to PATH train. Its booming neighborhood includes Mana Contemporary, a leading Arts Destination, modcup coffee company, Square 1 Community Eatery and the Landmark Loews Jersey Theatre to name a few. Tax abatement in effect. Garage parking available in building for rent. 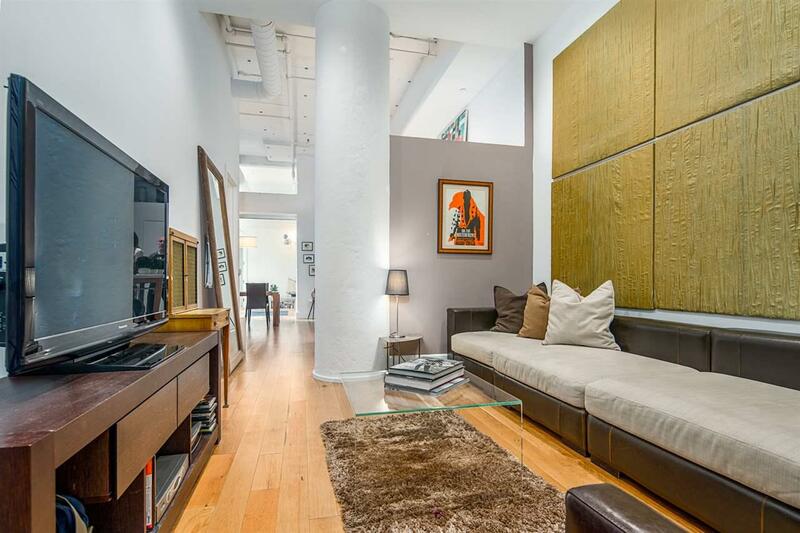 This perfect loft home awaits! Inclusions Wardrobe in Bedroom. Stainless Kitchen Work Table. Blinds. Listing provided courtesy of Vue Realty Group Llc:201-683-8700.